When did you think about becoming a foster parent? Dyiane and I were watching television and ads would play asking for people to become foster parents. The ads were for all people to consider fostering. Dyiane and I agreed that we had empty rooms for a child or children that needed a place to stay. We went on line to see which agencies were available. We found that KidsPeace was on the top of the list along with other agencies. We did our homework, we narrowed it down to two agencies and looked at both agencies’ on line information. We were impressed with KidsPeace’s information. We completed the online application. Did you have any experience fostering before? Or were you around foster children before becoming a foster parent? We didn’t have any experience with fostering before. Our first couple of placements were respites or weekend placements for families that needed help for a short time. We liked this experience as it helped us ease into fostering for longer term youth. How did you feel about the recruitment process? We lived out of the state of Pennsylvania so we finished everything but had to wait for the out of state clearances to come in. Generally speaking it went smoothly with this exception. How did you feel once you starting working with the caseworkers? We love our caseworkers, past and present. All of them have been professional and available when needed. Do you have any advice for those that are considering fostering? I would say be patient with the youth in your home, work with the agency staff, don’t isolate yourself, fostering is not as easy as you think. You are dealing with other people’s children. They have raised them up to this point. Dyiane and I got into fostering just to foster. We never considered being a permanent resource for the children placed in our home. The decision to adopt the three young boys in our home came easy because we fell in love with them. Describe a tough situation you had to deal with the boys? Our oldest child had a lot of trauma that we had to deal with. 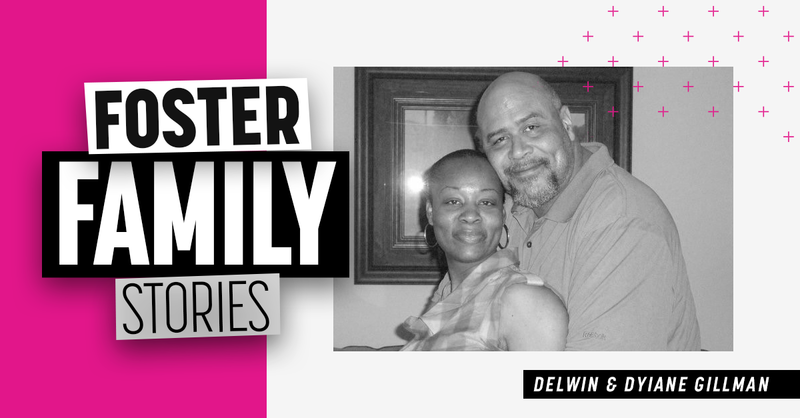 Our oldest son targeted me (Delwin) as he was expressing his anger and frustration. I exercised a lot of patience and would remove myself from the child’s environment instead of getting in any power struggles with the child. I’m the adult and I made effective adjustments to manage the child’s behavior. Now he is a totally different person. How long have you been with KidsPeace? We have been foster parents with KidsPeace since January 11, 2016. We adopted our three sons on December 21, 2017. We are currently fostering additional children. We are so happy that we continued to foster.